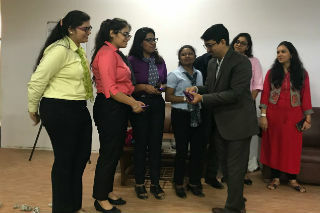 ‘Samanvay’, the HR Club of JIMS organised its very first activity for the PGDM (2018-20) batch on 28th July’2018 at JIMS, Rohini campus under the guidance of Dr. Neelam Dhall. 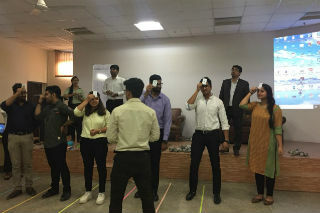 The activity comprised of two sessions, which were conducted by Mr. Subhankar Ghose, Chief People Officer, Zoom Insurance Brokers Pvt. Ltd. 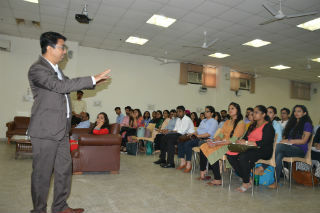 The first session was a guest lecture on the theme –‘Corporate Expectations from Budding Managers: Myths and Realities’. During the session, Mr. Ghose interacted at length with students and clarified various myths & doubts that they had regarding the corporate world and its expectations. He explained the realities of corporate life by sharing his own corporate experiences and anecdotes. He also illustrated some pertinent aspects related to work-life such as –‘Art of Reading People’s Mind’, ‘Stressors at workplace’, ‘How to achieve Work-Life Balance’ and ‘Do’s and Don’ts at workplace’ through different video clippings. In particular, Mr. Ghose gave some really valuable management insights through a highly interactive session. The second session comprised of HR Workshop on ‘Team Dynamics’, ‘Leadership’, ‘Effective Communication’, ‘Quality’ & ‘Time Management’. 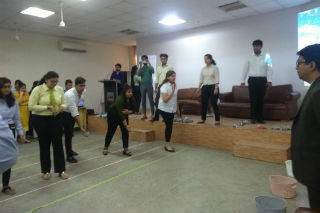 During the workshop, Mr. Ghose conducted various games and interesting activities wherein students actively participated. 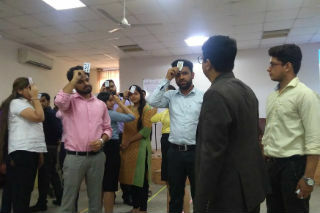 Some of the management lessons that he imparted through the activities included: (i) The concept of ‘Calculated Risk Taking’, ‘Team functioning’ & ‘Role of Leadership’ in the corporate world (ii) The significance of ‘Rank’ that an individual holds in organisation and its impact on others & their willingness to communicate (iii) The concept of ‘Effective Communication’ and it’s influence on ‘Quality’ & ‘Time Management’. 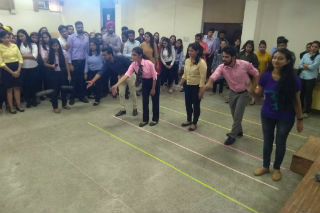 Students appeared ecstatic and totally charged up as they displayed lot of energy and excitement throughout the workshop. The programme concluded with vote of thanks and presentation of memento to Mr. Subhankar Ghose. 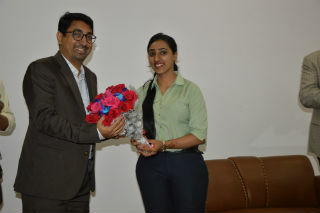 Overall, it was a great learning experience for budding managers at JIMS, who thoroughly enjoyed both the sessions. 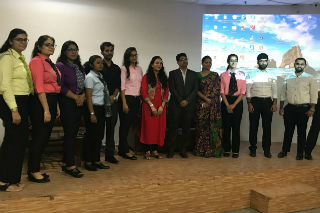 The students were delighted and were in all praise for the HR Club initiative as they look forward to more such events by the club in future.